Obituary for Eric Allen Zerlaut, Jr. | Kroeze-Wolffis Funeral Home, Inc.
Eric Allen Zerlaut, Jr., age 15 months of Holton, was received into the arms of his Heavenly Father early Sunday morning, August 19, 2018. He was born on May 16, 2017 in Grand Rapids, Michigan. Eric is survived by his parents, Eric Allen Zerlaut & Sarah Elizabeth Kolk of Holton; grandparents: Roger & Suzanne Kolk of Fremont, Mac & Shannon Zerlaut of Holton, Debra & John Hirons of Holton; & great grandparents: Dirk & Beverly Kolk of Fremont, Albert & Pat Wiegand of Holton. Eric was preceded in death by his great grandparents: Lloyd & Helen Bannink, Allen & Marjorie Zerlaut. The Funeral Service will be held at 11:00 AM on Thursday, August 23, 2018 at First Christian Reformed Church in Fremont with Pastor Richard Hamstra officiating. Visitation will also be at the church from 10-11 AM on Thursday. Interment will be at Oakwood Cemetery in Holton. 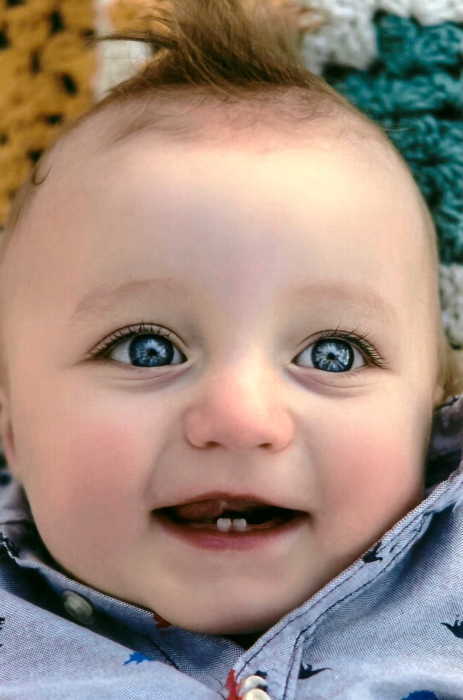 Suggested Memorial: Helen DeVos Children's Hospital. You can sign the online guest book at www.kroeze-wolffis.com. Arrangements are by Kroeze-Wolffis Funeral Home, Inc. of Fremont.